Susan Schroeder is a partner of Compensation Advisory Partners LLC (CAP) in Los Angeles. She has over 20 years of experience advising Boards and company management on compensation strategies, performance measurement customization, and short and long-term incentive plan design. Susan’s experience includes work for Fortune 500 companies as well as smaller public, private, and not-for-profit organizations across many industries, including real estate, banking, insurance, investment management, technology, manufacturing, and professional services. Over the years, Susan has developed a particular expertise in developing incentive plans that reward for long-term value creation where publicly traded stock is not available. Susan has been a speaker for several WorldatWork Total Rewards conferences and for meetings of the Los Angeles and San Francisco Bay Area Compensation and Benefits Associations. She earned the Certified Executive Compensation Professional (CECP) designation from WorldatWork. 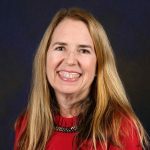 Prior to joining CAP, Susan was a co-founder and partner of Vivient Consulting LLC, a boutique executive compensation consulting firm, for sixteen years. Prior to that, she was a principal in the Los Angeles offices of Mercer’s Human Capital practice and SCA Consulting. Additionally, she spent twelve years in the financial services industry specializing in finance and real estate lending at First Interstate Bank and Wells Fargo Bank. Susan received an M.B.A. from The UCLA Anderson School of Management and an A.B. in Economics from Occidental College, where she graduated with honors. 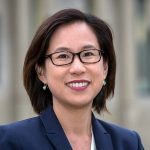 She currently serves on the Board of Trustees of the National MS Society, Southern California and Nevada Chapter, and the Board of Directors of The UCLA Anderson Alumni Association. She is a past member of the Board of Trustees of Occidental College, and a current member of the National Association of Corporate Directors.